Who is the king of horror!!? I’m going to try and NOT be biased here.. and it’s going to be difficult. I have read a great many of Clive Barker’s books and I struggle with Stephen King, I know it’s lame but apart from a few shorter stories I generally experience King through the Cinema rather than through pages of a book. Despite this I have been a long time fan of both directors but Clive always has an edge that I deeply appreciate. Now that’s clear I’ll clarify one other thing, I’m only judging films side of each creative writer here, I’m pretty sure King has written more books than Barker, and likewise Barker has probably had more art exhibitions than King. But both men have written and produced vast quantities of ideas that have fuelled many exceptional films. So what have they given us!? Key: W: ritten P:Produced D:Directed A:Actor. WOW okay.. now where do we take this! Yes King has produced a lot more work, but not all of it has been horror, oh wait hold on.. it falls within the horror category, okay, so because he’s produced more he wins hands down!? Hell no, we’re going to give him 0-1 and then investigate further. 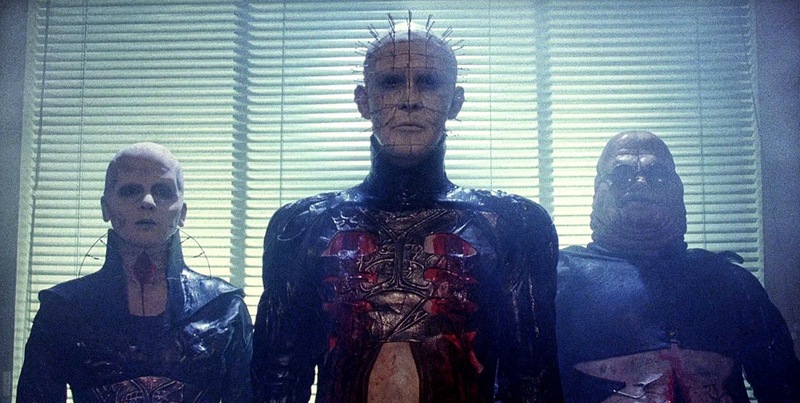 Clive Barker has given us some cult classics in Hellraiser (1987) and the iconic PinHead character. He re-created a whole new brand of horror in a similar way that HP Lovecraft gave us a whole new horror universe to work with, Barker gave us a new hell and a whole new pain devil to show us the sights. On the other hand King tends to work with our oldest fears, reinventing them in new creepy ways. He gave us the playful Pennywise Clown from It (1990), Annie Wilks from Misery (1990) the classic haunted car Christine (1983) and many more. 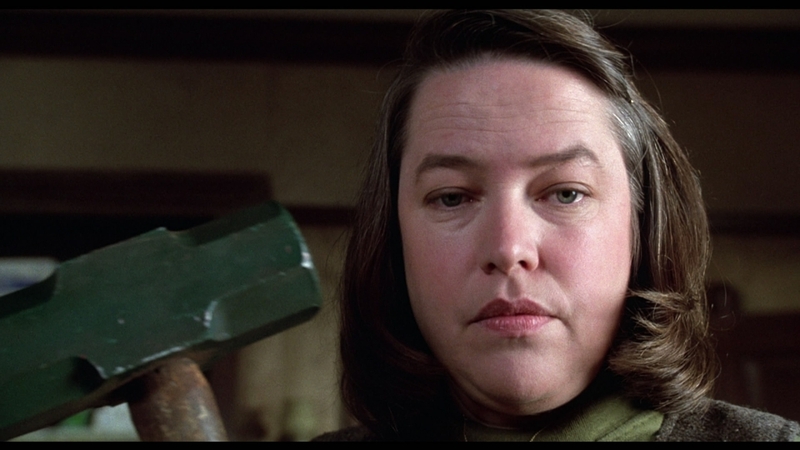 Obviously King had given us a lot more memorable characters as he’s produced more but who’s really the most iconic? 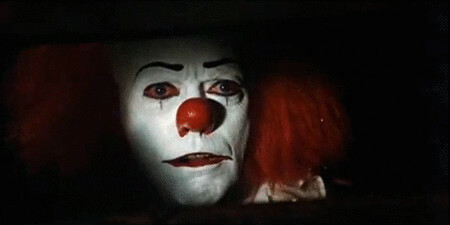 Hate me all you like but I’m going to have to give this round to Clive, I give King full credits for making clowns scary again but honestly, they were always scary, Pennywise was a terrifying beast but only because most people fear clowns anyway, he was simply adding to the nightmare fuel, Annie Wilks creeps the bejesus out of any abled man, but she wasn’t anything new. While on the other hand, swinging out of the hell corner, Mr Barker introduces a pantheon of hellish new beasts to play with. Including the Cenobites and Whatever was in the Midnight Meat Train (2008) and the Book of Blood (2009) and the children of the moon who used to reside in Midian in the classic Nightbreed (1990), have spawned on a range of spin offs and cosplay etc, while you can also argue that King has given us some pretty strange shapeshifting aliens in Dreamcatcher (2003), again they are just aliens, but I do admit they were somewhat distinctive. These are new characters at least for this reason I’m going to have to give him the round. 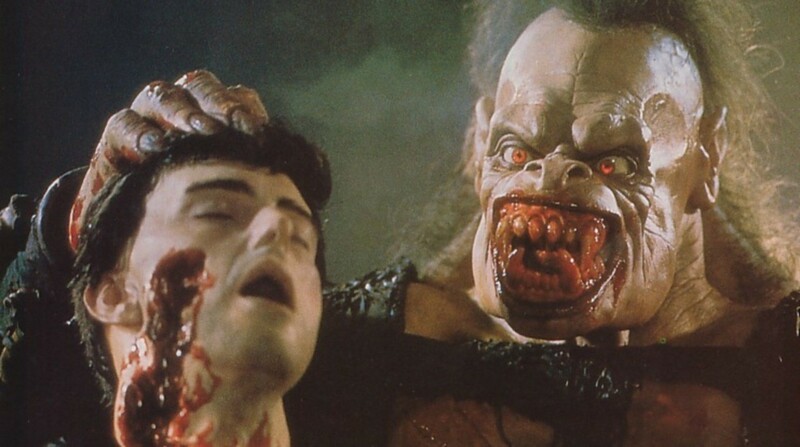 But only the king of horror can dream up Rawhead Rex.. whatever he was!? *shudder* So that’s 1-1. Clive Barker has directed before and is has more films in the pipeline while King had never taken the bull by the horns and given even a short movie a try. I think he would be amazing if he turned his mind to it. But sadly he’s not really branched out in that way and therefore 1-2. Please bear in mind this is just a bit of movie fun, both men are hero’s in what they do and no faults can be found in either really, Barker will always be that little bit closer to my heart but I couldn’t imagine horror cinema without either of them.